National Nacho Day is a real thing, and it’s happening today! I love me some nachos, it’s the first thing I grab at any sporting event and National Nacho Day couldn’t have happened on a better day this year either – Thursday Night Football! There is something very satisfying about eating a big plate full of crunchy, cheesy, melty goodness that you can eat with your hands. It’s nacho average meal. See what I did there? There are so many ways to enjoy nachos; they can be plain or spicy, served as a snack, alone, with queso dip or loaded with toppings to make a delicious hearty meal. 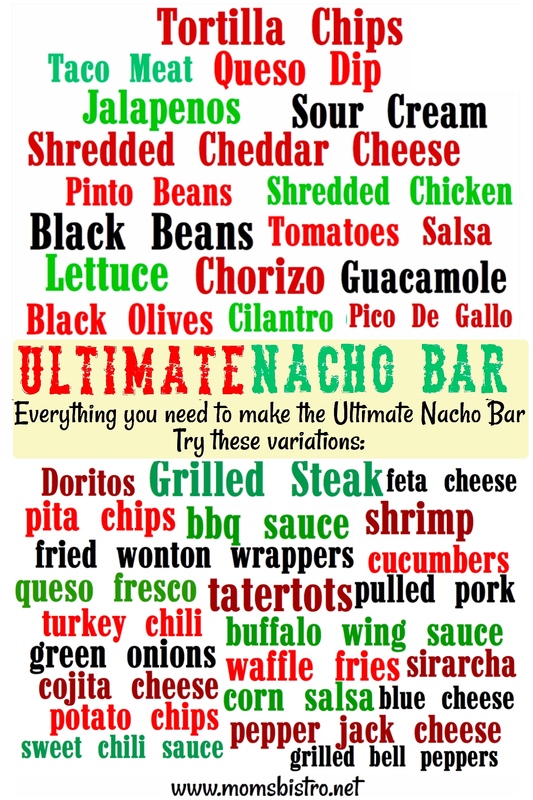 A nacho bar is the perfect choice for a football party, or really any get together. 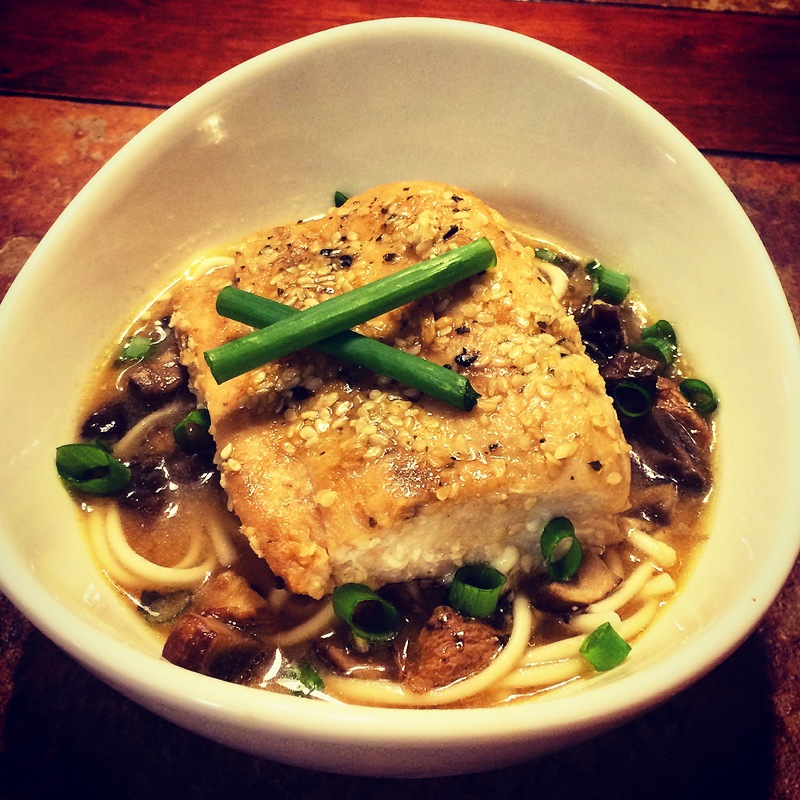 People love to design their own food, and it’s minimal effort for whoever is putting it together, just cook a little meat, chop a few veggies and plug in some crockpots. Possibilities with nachos are endless, you can make bbq nachos with chicken, bbq sauce and fried onions, or asian nachos with shredded chicken or even ground pork cooked in a teriyaki sauce, asian slaw and some spicy sirarcha sauce. For a nacho bar, just add some classic ingredients to a table with a couple big bowls of tortilla chips and you’re off to the races! 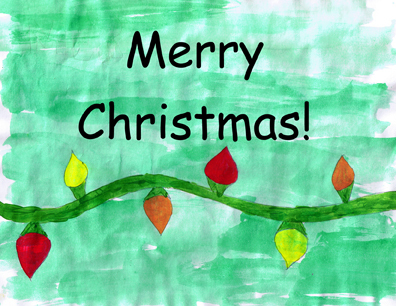 Let your guests or your family get creative and have fun. Use foil pie plates from the dollar store (they are like 3 for $1) as your plates. They can go right into the oven under the broiler to melt the cheese. Just have some thick paper plates – you know the really fine china out beside the oven incase the foil trays are a little hot – they shouldn’t be because you’re just melting a little cheese. Put your meats and queso dip, cooked meats (ground beef, ground turkey, shredded chicken, shredded beef, chorizo… whatever you decide to use) and beans (black or pinto) in crockpots to keep everything warm. After your nachos come out of the oven, top with whatever your heart desires. Garnishes can be simple like diced tomatoes and cooked taco meat, or super complex with beans, cheese, meat, lettuce, tomatoes, salsa, cilantro… the works, like these loaded nachos we make on a regular basis. 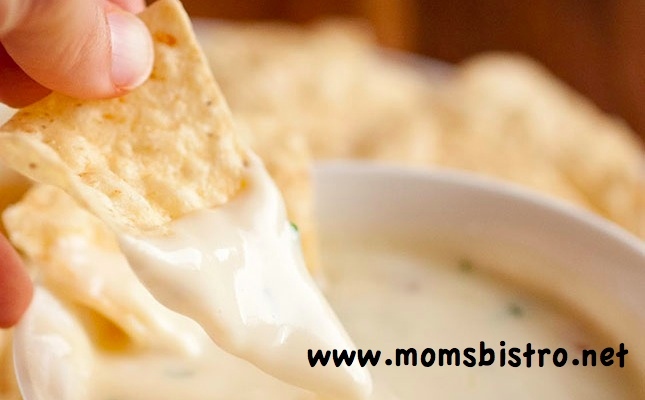 Make your nachos even more delicious with this simple CrockPot Chile Con Queso Dip Recipe. With just a few ingredients, it’s ready in just a few minutes and you can keep it warm in your slowcooker for hours – if it lasts that long! Queso is always the first thing to go around these parts! 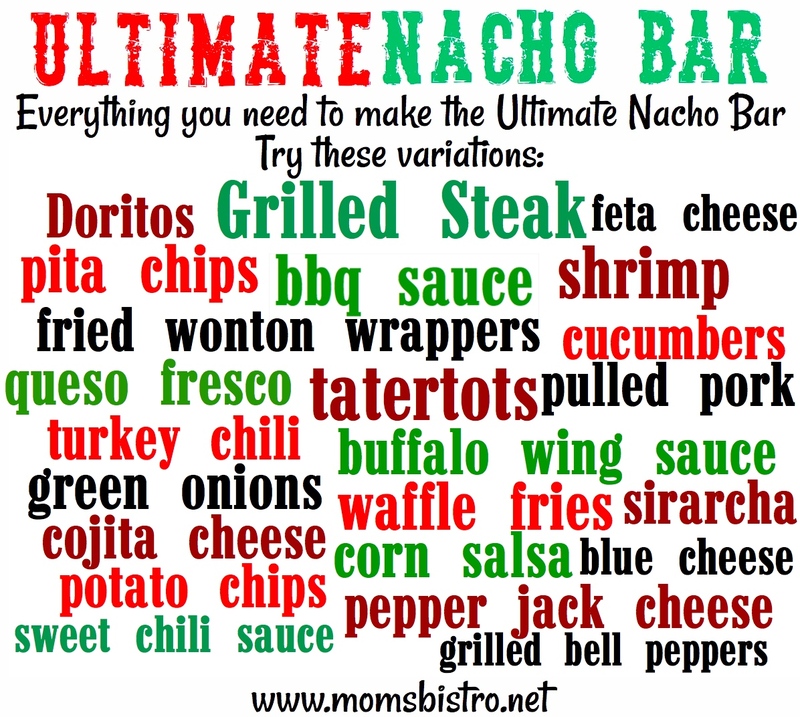 One of the best parts of a nacho bar is it’s versatility. 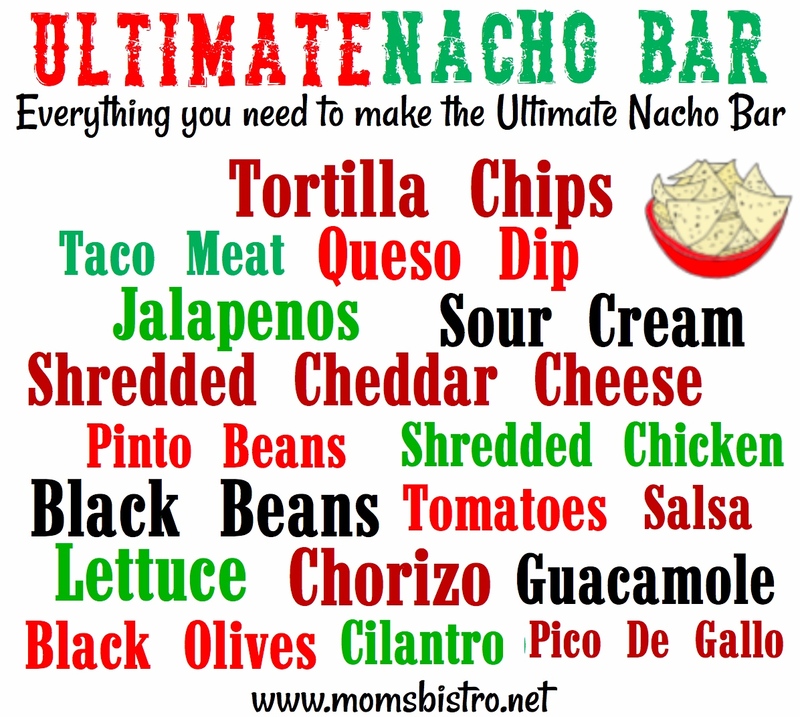 Try these other variations to make the Ultimate Nacho Bar! 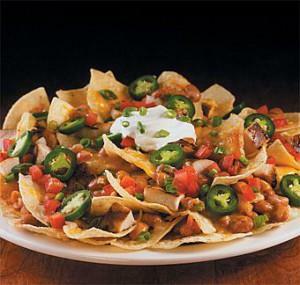 What are your favorite nacho toppings? I like my nachos naked and dip them in chile con queso! Enjoy National Nacho Day! I know that I sure will! Ignore No More: The Perfect Gift for Moms? 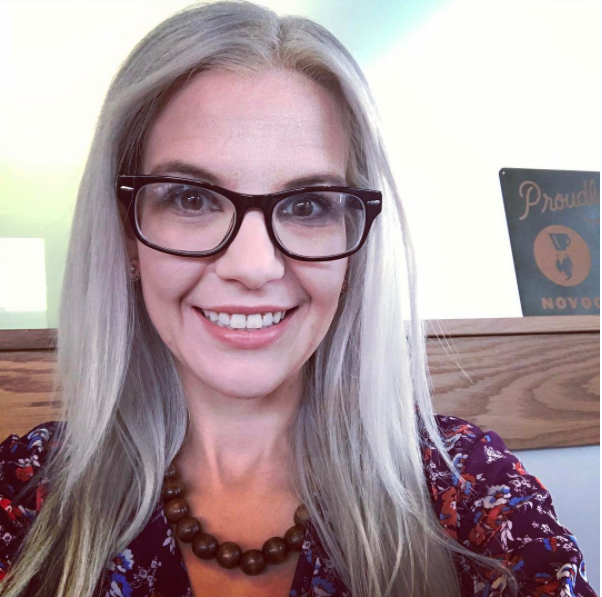 I have been following your blog for a few months now. Made every recipe from October. Thumbs up from the whole family on EVERY SINGLE ONE. Happily continuing into November and can’t find the recipe for your Crockpot Chili Con Carne Queso Dip.